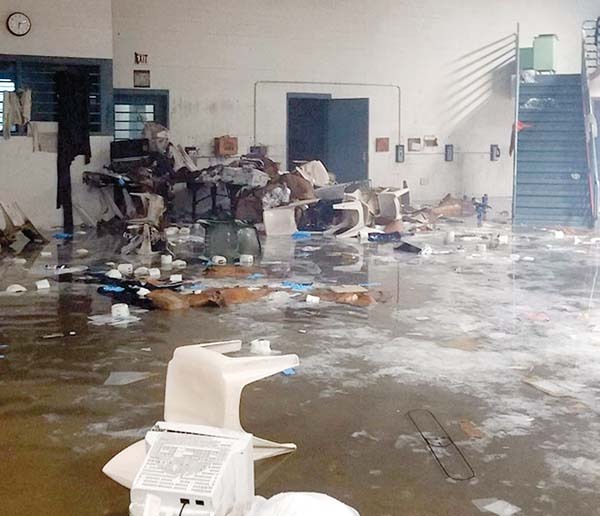 A discussion between staff and inmates at Maui Community Correctional Center over broken phones in the module, combined with “unstable, inhumane conditions and unconstitutional living conditions,” spurred what two inmates described as a “riot” last week at the Wailuku jail. The inmates and other inmates’ family and friends said those caught up in the incident encompassing two modules that held pretrial detainees feared for their lives. They were trapped in smoke-filled modules with the cell doors locked. They also say that inmates have been put back into the damaged Module B, in which most toilets are broken and there is no water to wash their hands. During the incident March 11, 42 inmates from Module B refused to leave a common area to return to their cells after recreational time was over, the state Department of Public Safety said last week. The inmates broke fire sprinklers and started a fire in the common area in the module, with smoke drifting into an adjacent module. The “disturbance,” as the department labeled the incident, was declared contained by 6:26 p.m. after about three hours. 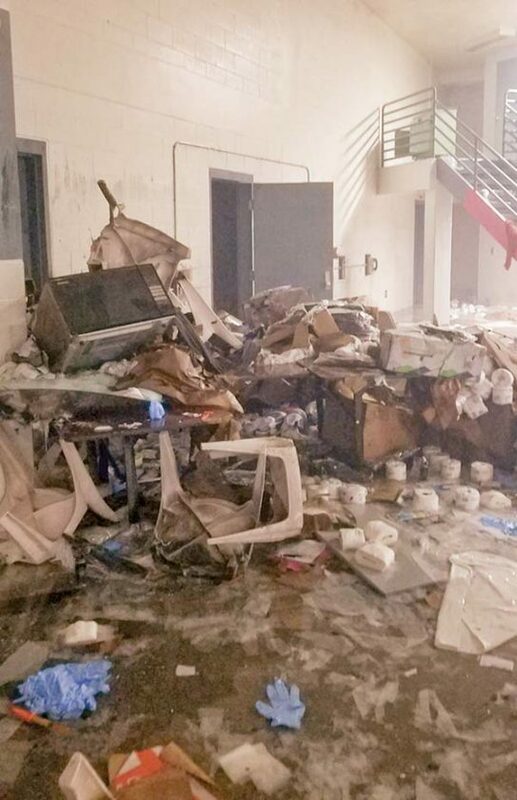 Inmates broke fire sprinklers and started a fire in the common area of a module at Maui Community Correctional Center in Wailuku on March 11. Significant damage was reported to two modules. Significant damage was reported to the two modules. 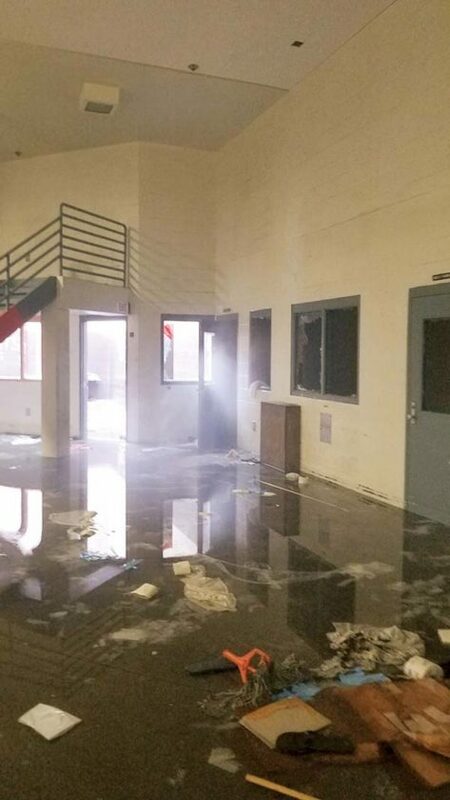 Public Safety officials said Thursday that common areas are “still unusable” with individual cells that are “fully or partially operational.” Inmates were returned to those cells. Twenty-one inmates, identified as “aggressively” participating in the incident, were transported to Halawa Correctional Facility on Oahu on Thursday, the Public Safety Department said. 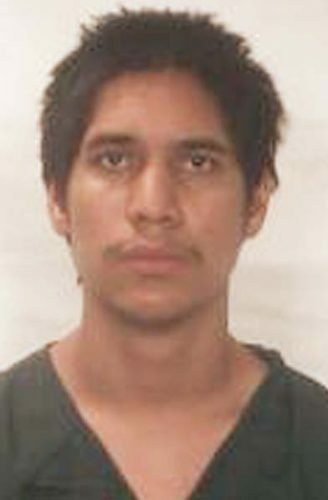 The two inmates and inmates’ family and friends, who contacted The Maui News, disputed and filled in some of the details. They sought anonymity for fear of retaliation from jail officials. In a letter obtained by The Maui News, an inmate said just before the incident began that a jail official was listening to concerns from inmates over phones that had been broken for months. The jail official responded with “lies,” saying the phones were going to be fixed, the inmate wrote. The official told the inmates that they needed to comply and lock down, otherwise they would use full force and open fire. Some inmates have been returned to individual cells that are “fully or partially operational” and have access to bathrooms and showers, Public Safety Department officials said. That left the inmates “pissed off,” and they started the riot, the inmate wrote. It broke out because of “unstable, inhumane conditions and unconstitutional living conditions,” the inmate said. The inmate cited overcrowding, delayed repairs, uncollected mail, broken phones, among other things, as conditions that precipitated the riot. The inmate said the fire that broke out “burned from the floor to ceiling” and that those inside the modules could only see 6 inches in front of their faces due to smoke. There were reports of inmates being unable to get out of their smoke-filled locked cells and that jail staff were unavailable to assist, according to inmates’ family and friends. Public Safety Department Public Information Officer Toni Schwartz said the incident is being investigated. “There is nothing further we will be discussing about the ongoing investigation at this time,” she said in an email Monday afternoon. She was able to address the current condition of the jail and the inmates. Inmate phones in Module B were torn off the walls and destroyed by inmates during the disturbance, she said. All phones have been restored. Individual toilets in cells and showers were destroyed by the inmates in the incident. Alternative unrestricted toilet access and restricted shower access is being provided to every inmate, she said. Health care staff members have been working extended hours since last week, she said. The department has reported two inmates with minor injuries — one due to an inmate-on-inmate altercation and another who injured his hand while punching a hole in a divider. Both were treated at the Maui Memorial Medical Center Emergency Room and were returned to the facility in two hours. “Medical staff continue to circulate through the modules (Monday) to make sure all inmates who request a consult are seen,” Schwartz said. Wailuku attorney Wendy Hudson, who formerly worked as the supervising attorney for the Maui Office of the Public Defender, questioned the timing of care. One of her clients fell and hit his head during the commotion and “didn’t get to see a medic for six days,” she said Monday. Issues about the fire suppression sprinkler system were raised, especially after the state labor department fined the Public Safety Department over fire alarm system issues. Schwartz said the sprinkler system in one module was working until destroyed during the incident. The rest of the sprinklers were operating. Security electronics, hardware repairs and improvements, and fire suppression and alarm system upgrade projects to deal with past issues at the jail are in the construction phase and are ongoing, she said. In a news release Monday, the department said that MCCC maintenance staff is working extended hours to assess the damage and to begin the recovery process so the modules can return to normal operations as soon as possible. A fire damage assessment was done over the weekend, and the company is expected to submit an estimate this week, the news release said. Other vendors have been called in to make assessments and to provide estimates on repairs to the common areas and cells. Toilet and hygiene items were purchased to replenish lost supplies. Inmates have been afforded recreation, restricted to three cells at a time in one-hour increments, to allow for out-of-cell time. “MCCC continues to staff an armed perimeter as a precaution, but since removing the 21 inmates who aggressively participated in last week’s disturbance, the mood and overall atmosphere has calmed,” the news release said. The removal of pretrial detainees to Oahu created some challenges for the court system, though nothing major, says the state Judiciary. William “Pili” McGrath, the current supervising deputy Public Defender for the Maui office, said Monday he was aware of parole hearings delayed because of the incident. He said that was unfortunate for those defendants who now have to wait for another hearing date. “They seem to bring them to court when they’re supposed to, as far as we can tell,” he added. There are concerned mothers, who were worried about their adult children taken to Halawa. But McGrath said there maybe better conditions there. Video conferencing could work in some cases, but Hudson said there are times when attorneys need to meet face-to-face with clients, especially when there are forms to sign. She was unsure if any of her clients were sent to Halawa. Hudson did confirm phone problems in Module B. She couldn’t get a hold of clients in the module and had to update a defendant on his court case when she saw him in court Monday. “It sounded crazy, it sounded over the top,” said Hudson about last week’s incident and the aftermath. As of Monday, there were 411 male and female inmates housed at MCCC, she said. The facility has a capacity of 301 inmates. There are about 170 adult corrections officers at the Maui jail, which houses pretrial detainees, inmates on short-term sentences and prison inmates nearing their release, according to a letter sent in September to a Maui County legislator. To alleviate overcrowding, the department is planning a new $7.5 million 80-inmate module at the Wailuku jail, Schwartz said. The 2017 Legislature appropriated the construction funds for the project. Hudson added that the overcrowding could be eased with bail reform, including allowing low-level offenders to be released and generally lower bail amounts. Triston Kahookele-Santos paddles in the V-1 open division. John Otto Redongo and Joe Mateo paddle to a win in the OC-2 open male division.